Free iPhone App Saves You Money on Fabric! For years I’ve carried around a printout of a fabric conversion chart in my purse so that anytime I find a piece of fabric I can’t live without, I could figure out how much I needed to buy based on its width. Anytime I tried to guess I’d end up with way too much fabric and spend a lot more than needed. Now I’m super excited that I can trash the ratty piece of paper I’ve been carrying around and replace it with this simple and FREE fabric converter app for my iPhone! 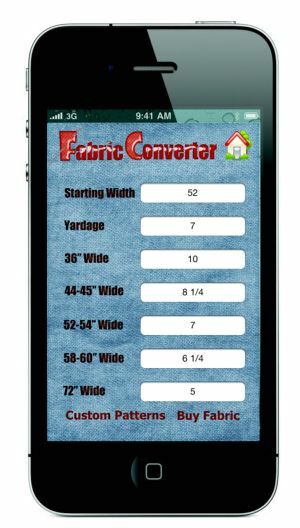 The converter app gives me a simple way to calculate how much fabric I need based on ANY starting length and width – other similar apps are limited to five or even three yard lengths, AND you actually have to PAY for them. 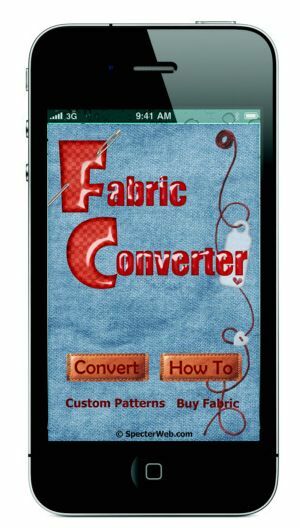 Download your free iPhone app from the iTunes store, or check out the Fabric Converter website for more information.